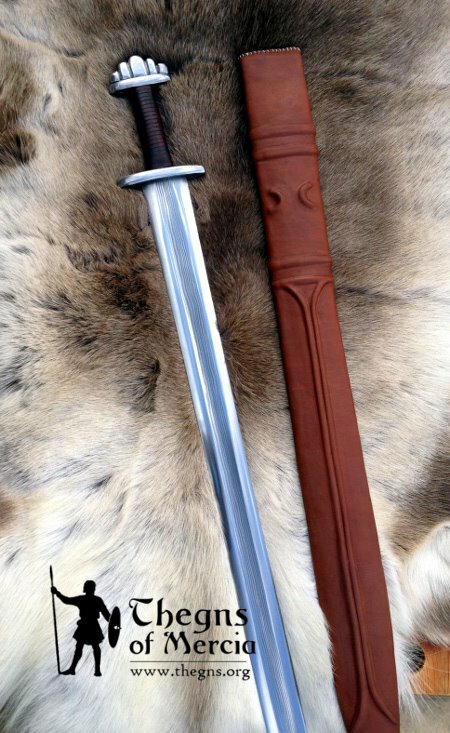 I've got a spot lined up next year with DBK for a 13th C sword scabbard and dagger sheath combination. I am looking forward to being able to post here next year with some photos. A lot of detailed research should produce a beautiful but historically-authentic combination for me. You made those scabbards? fantastic work. where did you get the chapes? 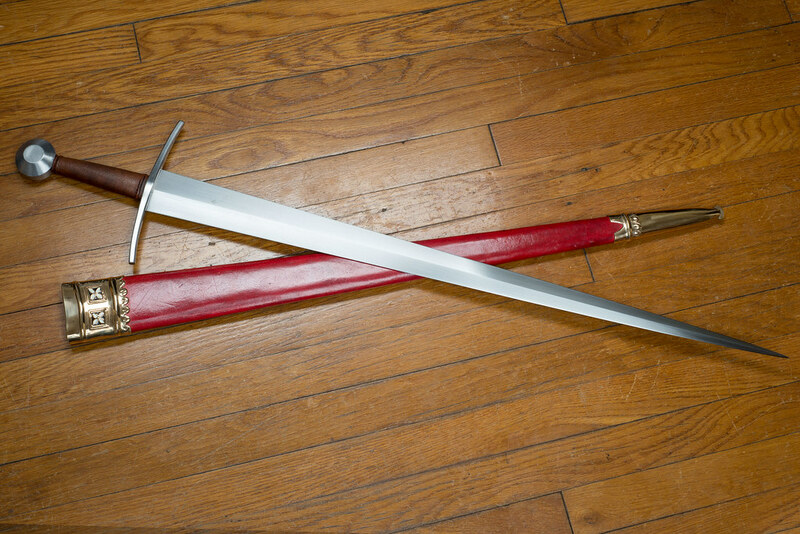 The short sword with wood hilt and toy byknife, and the fantasy epee are for kids, too. 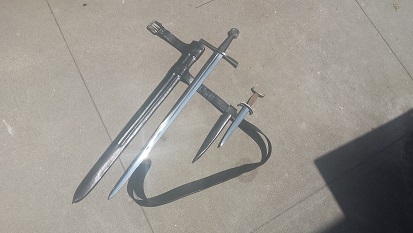 I merged the thread "Show us your Sword and Scabbard combos with scbbards" with this one, since there was no need for two that did the same thing. 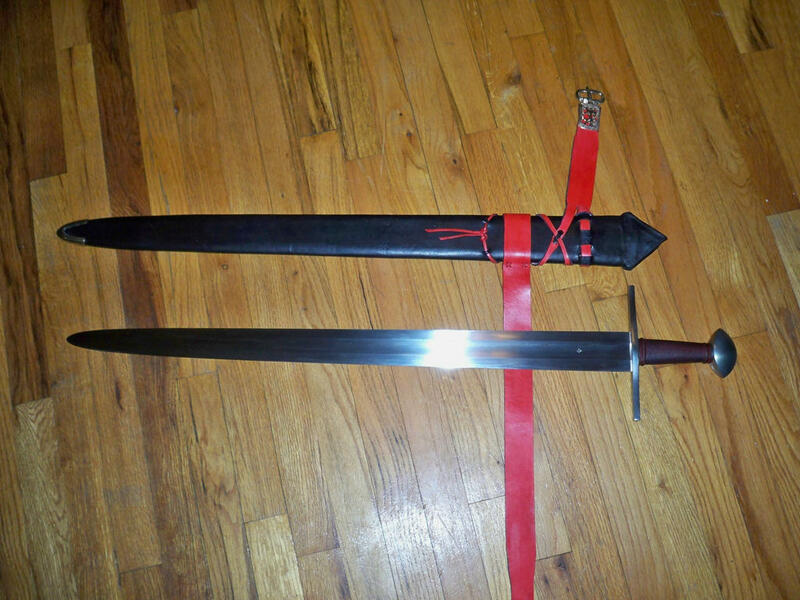 This is my DIY scabbard for my Oakeshott Type XII sword made by a local smith. 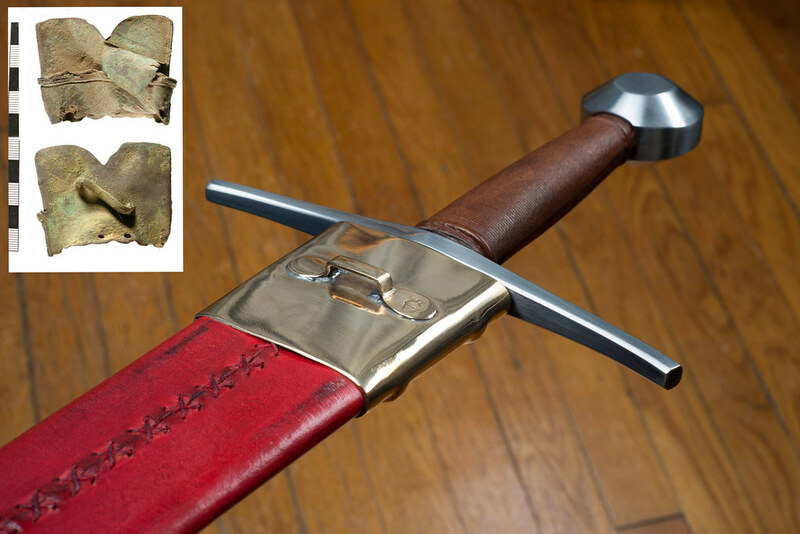 So far first and only scabbard I've made in 2012. 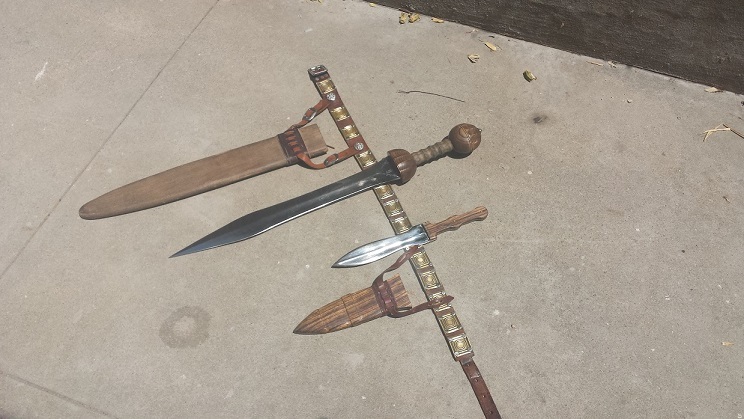 Here are my current ones, all DIY wood core wrapped in leather. Except the Viking scabbard, that is all wood. Heres mine for my Albion Reeve, was custom made and it's lined with oiled wool on the inside to keep moisture out. 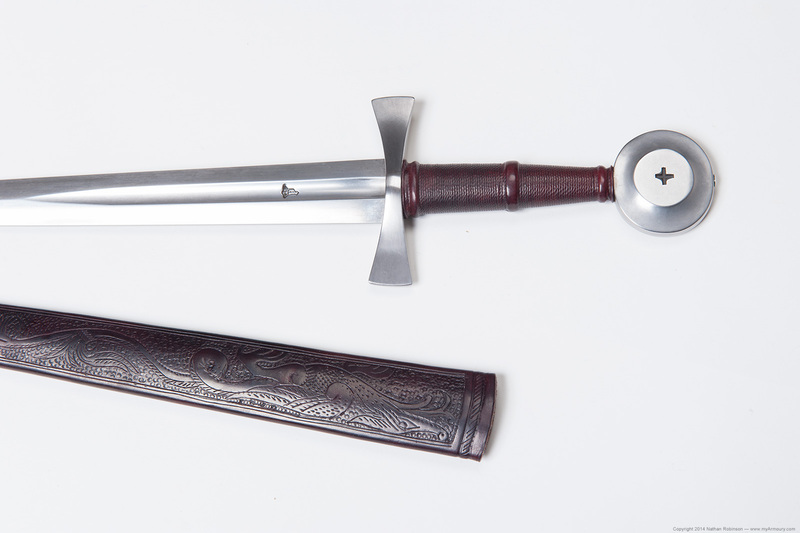 Dont even have to oil the blade with this scabbard which is good. I do think black leather was more common than others give credit for, at least post 1200, it's quite easy to make black leather dye with iron filings though for clothing not so much. In any case it looks rather sharp and goes well with my coat of arms. 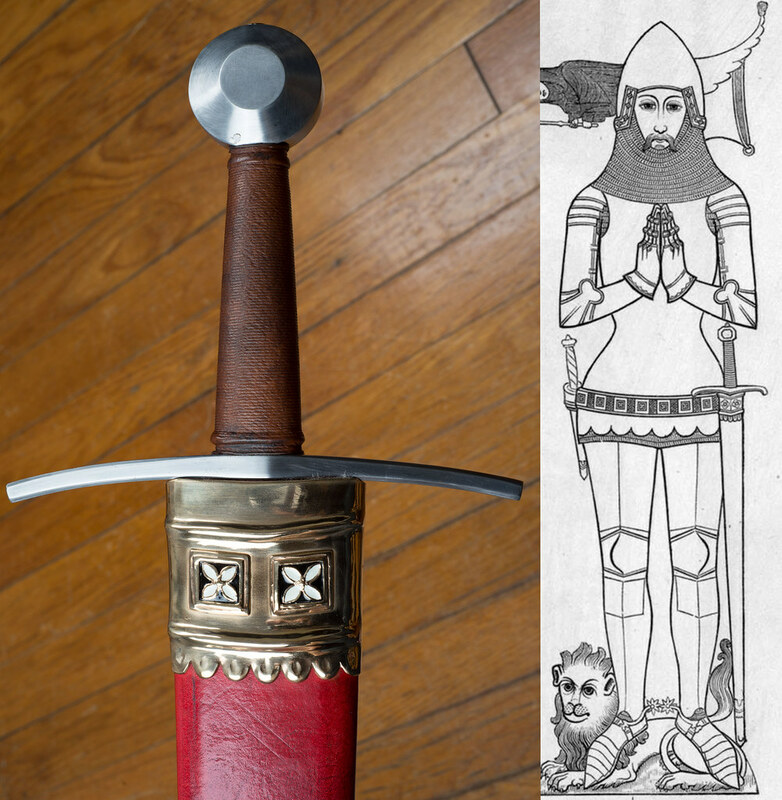 Certainly one of my favorite scabbards is this one, crafted by Peter Johnsson for his recreation of a dagger in the late 13th century style. My sweet lord, that is such fine work it makes me all hot and bothered. Of course, nothing else to be expected from such a crafstman. 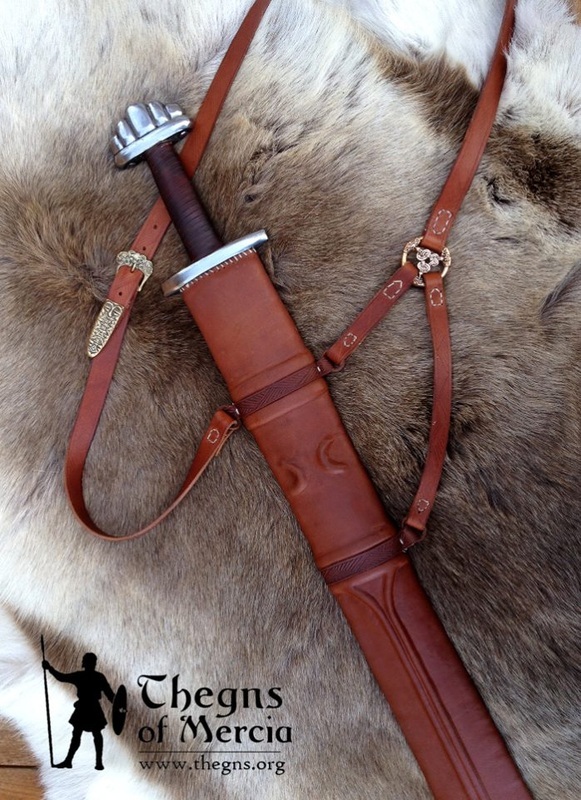 The leather was sewn with my now-favourite herring-bone pattern; the chape is made by "Arma Bohemia"
One thing interesting in particular is the wood the core was made from. 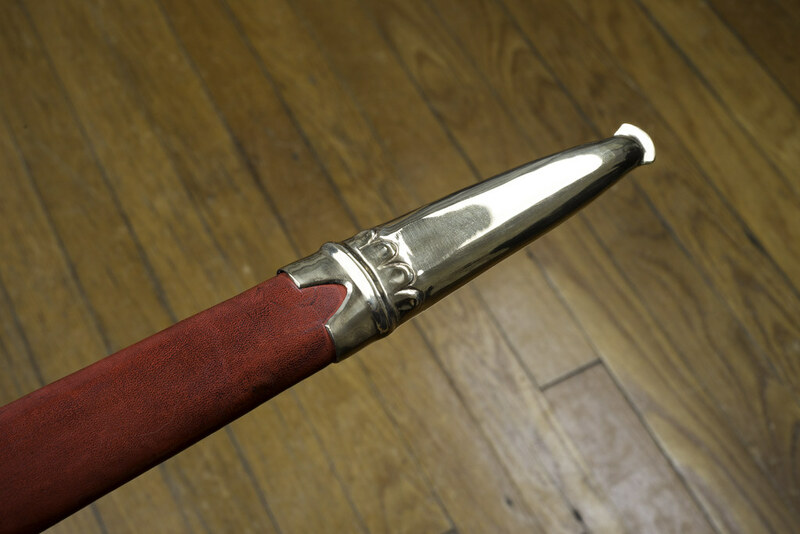 As you might remember, usually I make my scabbards from beech - for me it's quite easy to obtain. But as the owner sent me a plank of poplar, I worked with it this time. Well, I'm very pleased with this wood - a lot easier to work compared with the beech - and now I strongly re-consider to switch to poplar. 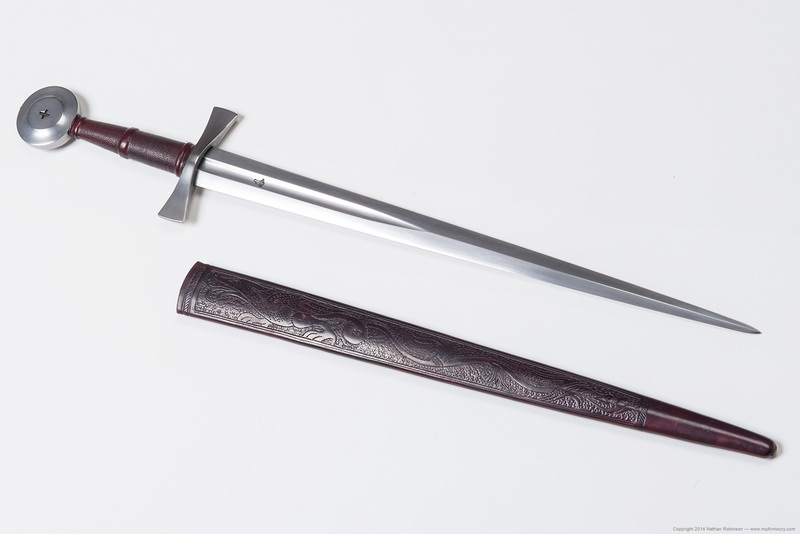 Bosis - that is a STUNNING scabbard. In particular, I would love to get more details on your herringbone stitch pattern - could you show us the general progression of the needles? I'm guessing this is a double needle method - and would LOVE to learn more . Just received this today. 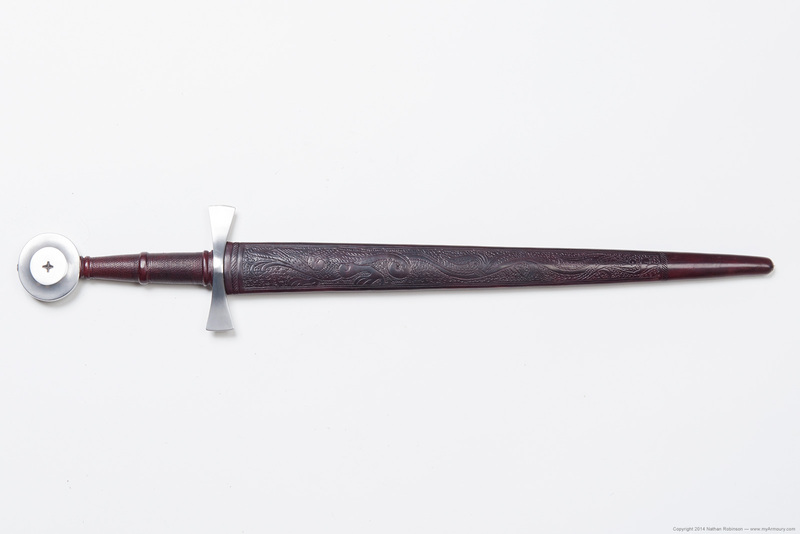 It is a scabbard done in the style of the late 14th century and early 15th century for wear with a plaque belt. 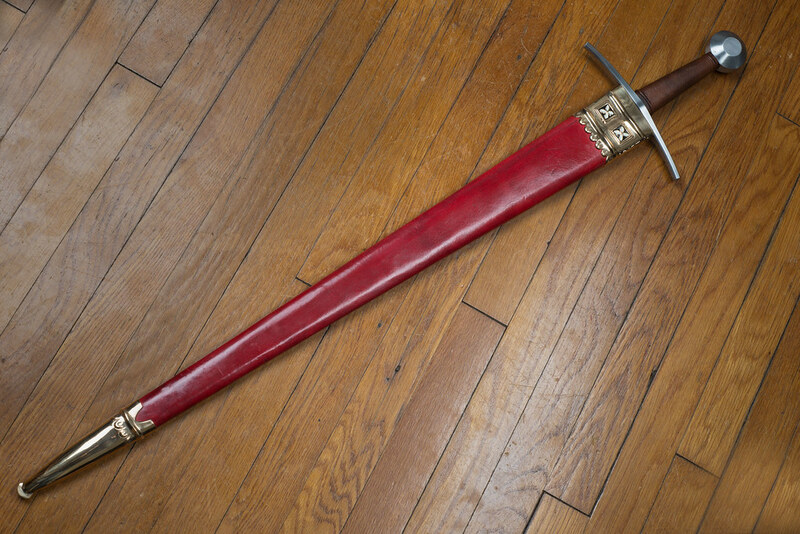 The sword is an Albion Poitiers. The brasswork was done by Jeffrey Hildebrandt of Royal Oak Armoury. I couldn't be more happy with the way this turned out. I'm very much looking forward to wearing it at an upcoming living history event. The charges on the throat locket match the existing charges on my plaque belt. On the rear of the locket there is a staple through which a buckled leather strap may be passed. This is one of the proposed solutions to the magical plaque belt suspension. In the photos below you can see an archaeological find with a staple attached. We've used this method with success in our living history club, and it gives the proper visual while being supported with archaeological evidence. That's fantastic!! 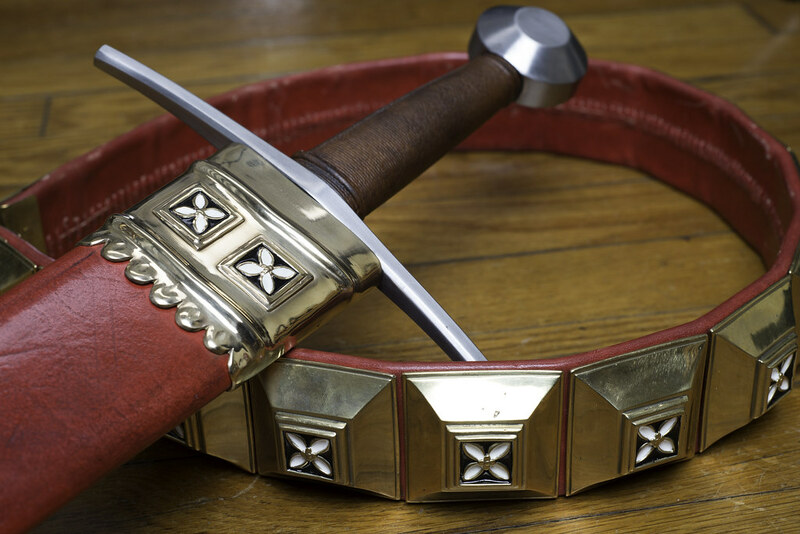 Who made the actual scabbard? Again, stunning, but that is what we have come to expect from Jeffrey. 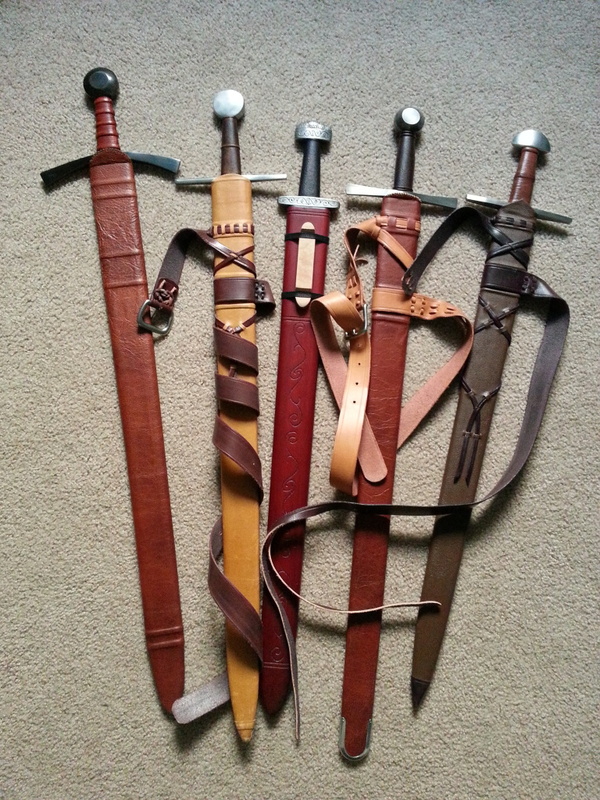 Nathan, the wood core and leather wrap were done by a friend, Ron Johnson, a fellow re-enactor. Then that was sent to Jeffrey at Royal Oak for completion. Now THAT'S a backstitch . Love the x pattern double needle work .